Please contact 419-898-9621 Ext 3 for information on availability and purchasing of cemetery lots. Plots are $50 for residents, $400 for non-residents. Rusha Cemetery is located on Toussaint South Rd. between Toussaint East and Ohio State Route 2. 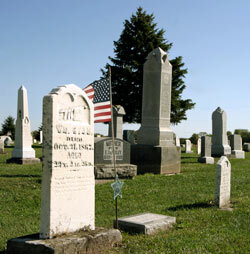 Saint Joseph Cemetery is located within the boundaries of Carroll Township, but is a privately owned cemetery, for more information contact the Catholic Diocese of Toledo. 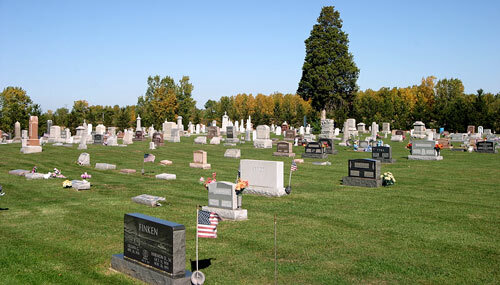 Cemetery Cleanup takes place in the spring and the fall of each year. Please have any grave blankets, flowers and any other items removed before cleanup.